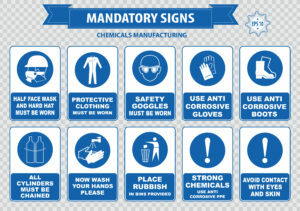 COSHH Regulations or to give the full name The Control of Substances Hazardous to Health Regulations 2002 provide information on what the law requires and advice on completing COSHH assessments. You will need to ensure that you are correctly assessing risks – high and low. These regulations are updated from time to time and they were amended in 2004 which came in to force in 2005. Most businesses use substances or products that are mixtures of substances. Some processes create substances. These could cause harm to employees, contractors and other people. Sometimes substances are easily recognised as harmful. As a new technology or work process is designed, the risks of exposure associated with materials or substances may not be fully understood and extra precautions may be needed.